Microsoft Office 2007 is a version of Microsoft Office, a family of office suites and productivity software for Windows, developed and published by Microsoft. It was released to manufacturing on November 3, 2006; it was subsequently made available to volume license customers on November 30, 2006, and later to retail on January 30, 2007, the same respective release dates of Windows Vista. It was preceded by Office 2003 and succeeded by Office 2010. Office 2007 introduced a new graphical user interface called the Fluent User Interface, which uses ribbons and an Office menu instead of menu bars and toolbars. 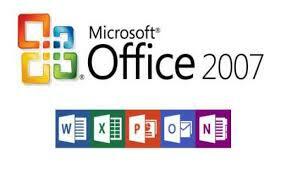 Office 2007 also introduced Office Open XML file formats as the default file formats in Excel, PowerPoint, and Word. The new formats are intended to facilitate the sharing of information between programs, improve security, reduce the size of documents, and enable new recovery scenarios.